The Brandywine Suites Hotel has been referred by our guests as Wilmington's Best Kept Secret, for the business and leisure traveler. 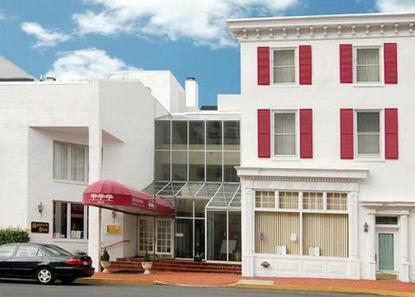 Nestled in the heart of historic downtown, the hotel offers a country inn ambiance with a city convenience. This upscale boutique hotel is still small enough where we care about every guest. Please call about our Valentines Day packages. Parking is available across the street from the hotel at a fee of 8.00 USD per night. Bottled water available in all rooms. Hotel is 100% Non-smoking.